I’ve been putting off writing my first post for a while, but I finally found something worth writing about. FYI, I plan on writing shorter, more frequent posts, so this won’t be long. What inspired me was the book I’m reading. 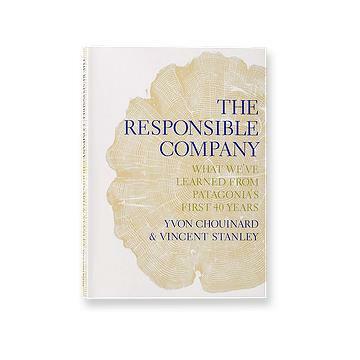 It’s called “The Responsible Company: What We’ve Learned From Patagonia’s First 40 Years” by Yvon Chouinard and Vincent Stanley, and it has been unlike anything else I’ve ever read. Here it is! Pick one up at the Patagonia website. First, a quick background. For those of you that aren’t climbers, Yvon Chouinard (one of the authors) was one of the biggest proponents of “clean climbing” back in Yosemite in the 50s and 60s. That means this: Before then, in order to climb a crack, climbers would bring up a bunch of pitons and hammer them into the crack, creating unnatural fissures and breaks in the wall. Yvon, along with companions Tom Frost and Royal Robbins, decided that this was defacing the rock and they needed to use a new technique to climb. The old school way of climbing: a standard set of pitons, and a shot of one hammered into the rock. So, he and Frost started a company that would become Black Diamond, and began making “chocks“. Chocks were forms of protection that did not scar the rock, and they were a revolution in climbing technology and ethics. 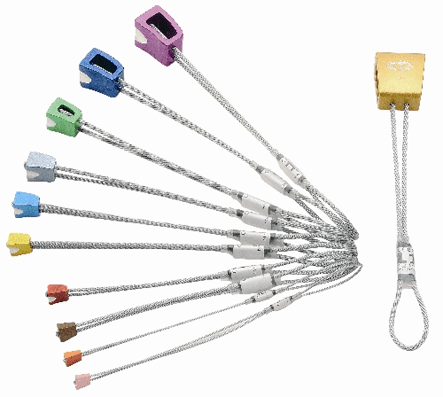 These replaced the scarring pitons as the main source of climbing protection. This step is significant because by choosing not to scar the rock, Yvon was making his first steps toward building a “sustainable” future–for rock climbing and, later on, the world. He seemed to, from a young age, realize the long-term and wide-reaching impacts of his daily life, and was concerned with the problems they were causing. Years after founding Black Diamond, Yvon started a clothing company called Patagonia, a company that is widely known today, even with non-climbers. What most people know is that they make comfy, stylish clothing that might vaguely have something to do with mountains. What most don’t know is their origins and ethics, and how they are refining the way companies do business by mitigating their impacts worldwide. Alright, get to the point! I can already tell I could write forever on this topic, so let me get to the point. The book discusses these impacts from a business perspective, emphasizing the need to be responsible about them. The reason the book is called “The Responsible Company” and does not use a more popular term like “The Sustainable Company”, is something they point out early on: there is no such thing as a “sustainable” company. To be sustainable, the net impact of your company should be equal or less than zero (meaning you use 100% recycled goods and manufacture using 100% clean energy sources, among other things), and this is simply not possible, at least not today. What is possible is being a “responsible” company. This means being as “sustainable” as possible, but you must also be seeking out ways to improve, and you cannot simply sweep any damage you do under the carpet. Especially for consumer products with a long supply chain, there can be huge negative impacts of your products, many of which you’d never know about if you never went and looked for them. They give some examples that many of us are familiar with: the under-paid, over-worked, and/or under-age worker you rely on to sew the clothing. The harmful pesticides used to spray the cotton that end up in drinking water. Etc. Other examples are not as well-known. What about the waste-water from dying facilities that poison rivers in China so much that the color change can be seen from space? What about the toxic formaldehyde finish added on clothes used to prevent shrinkage and wrinkling? These are the kinds of less obvious impacts Patagonia has been looking into, and has spent considerable time and money looking for responsible alternatives to these methods. This is a satellite image of the Pearl River in China. 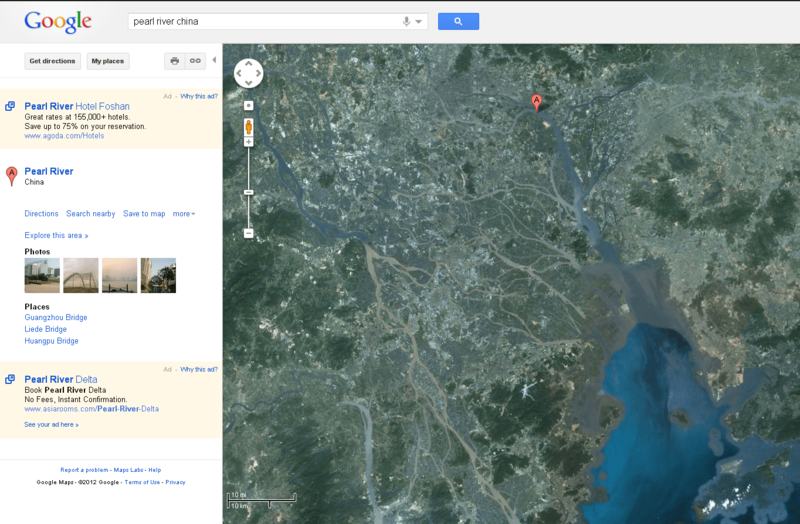 It’s polluted waters flow directly into the South China Sea, died indigo from huge jeans factories upstream in XingTang. Researching and measuring the impact of a consumer-focused, manufacturing-based company is relatively straightfoward. Most parts of the business have some kind of physical product or waste you can track down. But, what are the equivilent impacts of, say, a tech company in Silicon Valley? How do companies like these become “Responsible”? With our economy moving toward a heavier influence from and dependence on such companies, I think this question does not yet have an answer, and sorely needs to be addressed. Great article, Lee! I’ve always liked Patagonia’s products, but I never knew what a progressive, responsible company they are. Looking forward to more of your posts! aw thanks shamra! hope it made sense and wasnt too long. thanks for the encouragement. Lee awesome post. I am excited to read more of your stuff on here. Good first blog post. As an addition to the subject (and addressing your follow up question at the end), In the (relatively) little research I’ve done with and into the electronics business world what appears to be the largest source of waste for these companies and even most of the production business across the world is the subtractive process that most of them have had to employ, as opposed to an additive process. Think of it as when you want to build a house, you can either: carve the entire structure out of a huge block of rock (subtractive) or build the foundation and frame first and add the walls/drywall/roof/etc. to it from the ground up (additive). Things like the emerging “3D printing” for small/medium scale goods and “self assembly” for computer chip production in silicon valley are emergent technologies that provide their employers with not only reduced cost of production but reduced waste products to dispose of that could have harmful side effects on the world around us. The EPA may fall short in many respects but their conceptual approach to efficient use of resources is sound Reduce, reuse, recycle is suggested in order of ease of implication, and potential impact on the process. Additive production processes address the first concept in a big way with big benefits for efficiency. Very cool addition to the post, Steven. I’ve been loosely following the emergence of 3-D printing, and it seems to be really catching on. The printers used to be so expensive, but you can grab one from MakerBot (http://www.makerbot.com) for something like $1,200! A big investment, but they are no longer only for enterprise level companies. It’s becoming cheaper, easier, faster, and causes less waste than any other option. Funny you mention those “3 “r”‘s–Patagonia’s Common Threads Initiative added to it: Reduce, Repair, Reuse, Recycle, Reimagine. And they are in chronological order. If you can no longer do one, you move on to the next (brief explanation here)!